Have you ever wanted to pick the brain of someone that has been competing in the Worlds since the very first one? Maybe you’d like to talk to a 4th degree black belt that’s trained with luminaries such as Ze Mario, Ricardo Liboria and Murila Bustamante? Are your interests more aligned with MMA and you’d like to know how world-class wrestllers such as Randy Couture, Dan Henderson and Urijah Faber adapted to BJJ for MMA? What if you could get insight into all of these aspects of the sport that we love just by talking to one person? Enter Cassio Werneck. Cassio has a school in Sacremento where he trains himself, his students and a who’s who’s of MMA athletes in the art of Brazilian Jiu Jitsu. Cassio was kind enough to answer a few questions for us and share his insight into the evolution of BJJ. 1. You’ve trained with some legends of the sport. Guys like Ze Mario, Ricardo Liborio, Murila Bustamante and Sergio Penha. What was it like training with Brazilian Top Team with so many world class athletes and coaches? I knew those gentlemen before Brazilian Top Team even existed. When they started BTT they invited me to train with them. 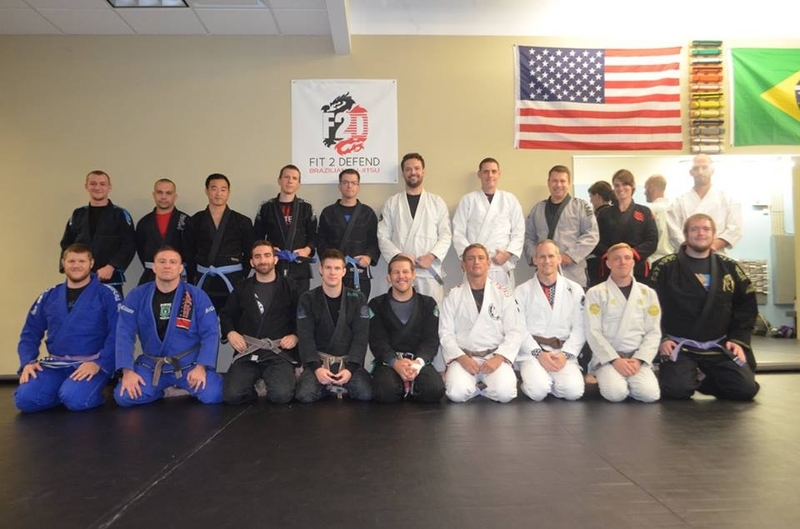 It was incredible having 15 to 20 black belts on the mat at once. At the time every big dog BJJ athlete was training there. I was fortunate to train in the mornings with BTT and then in the evenings with Sergio Penha. I knew Sergio back when he was an airplane pilot. He would fly down to Brasilia and train at my school. I’m always amazed at his knowledge and how incredible is jiu jitsu is. We have the same lineage. He is Oswald Alves student an my instructor Ricardo Reis who promoted me white to black belt happen to have his instructor Fabricio Martins a student of Osvaldo Alves too. I consider Sergio Penha not only a good friend, but also my mentor. 2. You’ve been competing successfully for almost two decades. What kind of changes have you made to your jiu jitsu as you’ve matured and as the game has evolved? To stay active in jiu jitsu competition you have to keep your mind open for leaning everything new as this sport evolves all the times. However, not everything is going to fit your personal style. It is up to you and your instructor to apply new techniques to your game in a way that complements your style. For example, BJJ in general works for every single person, be it tall, short, skinny, fat, athletic or not, aggressive or passive, but specific techniques can favor someone more flexible or strong, for example. Finding your personal game and refining it with new techniques and old that compliment it is how you keep up with this sport. It’s what I do and it is how I help my students keep winning gold medals. 3. How would you say the sport BJJ has changed since you first started to now? Brazilian Jiu-Jitsu is a martial art but Brazilian Jiu-Jitsu as a sport it is very young and it is crazy how much it has been changing since the early 90s not just the game of technique but also the physical aspect. Jiu jitsu used to be for martial artists. Now it’s a lifestyle. Martial arts enthusiasts do not gravitate towards bjj as much as athletes do now. People’s lives are made with this sport now, not just the select few who were born of it. 4. Not too many people can say that they competed in the 1st Worlds and the most recent. What changes have you seen at the Worlds since it was first held in 1996? Yes, I was fortunate enough to be involved with IBJJF tournaments since the beginning. I have many different feelings about tournaments with frustrations, happiness, stress, achievements, and I’ve seen a lot stars shining since the beginning for all these years. Where tournaments used to be very small, now they are huge, especially with the Metamoris. They are organized, televised, it’s incredible. I remember tournaments where it was just a mat sitting on the ground. You would fall off the mat, it would slide around. A lot has changed! 5. You’ve trained a lot of high-level wrestlers: Randy Couture, Urijah Faber and Dan Henderson to name a few. What are some the key areas that you have high-level wrestlers focus on when training them in BJJ? What is most impressive about those guys is their interest in learning everything in BJJ. They wanted to learn sweeps, half guard, passing the guard. They wanted to soak up as much technique in all areas as they could. We worked on the best techniques for their given opponent at the time. Since those guys had wrestled their whole life they had a body built for grappling. In the early days of MMA it was important for wrestlers to get comfortable on their backs but those guys were at such a high level of MMA they really only needed refinement on specific techniques of BJJ. 6. You had two fights in the WEC. In both cases you submitted your opponent in the 2nd round. With that success, why did you decide to stop competing at MMA? When I first decided to fight in MMA I did so only as a personal challenge. It was a great experience but after my second fight I became very focused on building my school in Sacramento, plus I had a newborn baby. To be serious in MMA you must be 100% dedicated to your personal training. You have to be selfish with your time, and my interests were, and still are, my family and my students. Thanks to Phalanx FC for coordinating this interview for us. If you have a few moments be sure to check them out at Facebook, Twitter and their website. If you’re ever in the Sacramento area be sure to check out Cassio’s school for some world class training by an ambassador of the sport.